Buscot Park is a fine early 19th Century house positioned at the centre of its own estate, and surrounded by outstanding ornamental gardens. 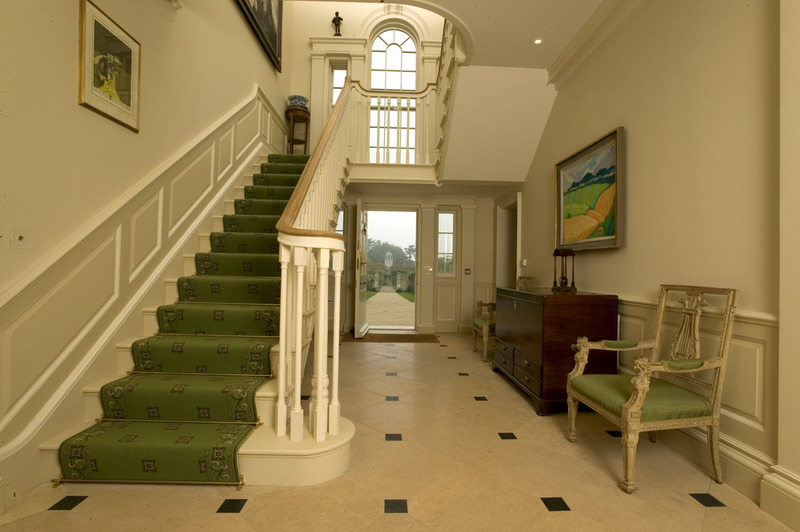 The property is owned by the National Trust, but occupied by Lord and Lady Faringdon, who asked the practice to design a new house within the grounds for summer use during the visitor season. A site was chosen on the far side of the original walled gardens, which are now laid out to a formal pattern. The gardens are arranged as three separate walled areas, centred upon a fountain and with a broad garden path running through the centre. The path is centred upon the C18 stable block, and the house is positioned as a new focal point at the opposite end, in a natural landscaped bowl, on the edge of the surrounding parkland. The designs for the house are based upon classical principles and proportions, forming symmetrical facades to the north and south with projecting service wings either side. The design is based upon the classical timber building traditions of east coast American C18 houses, with clapboard cladding. A central hall runs through the centre from north to south with the main rooms arranged to the four corners. 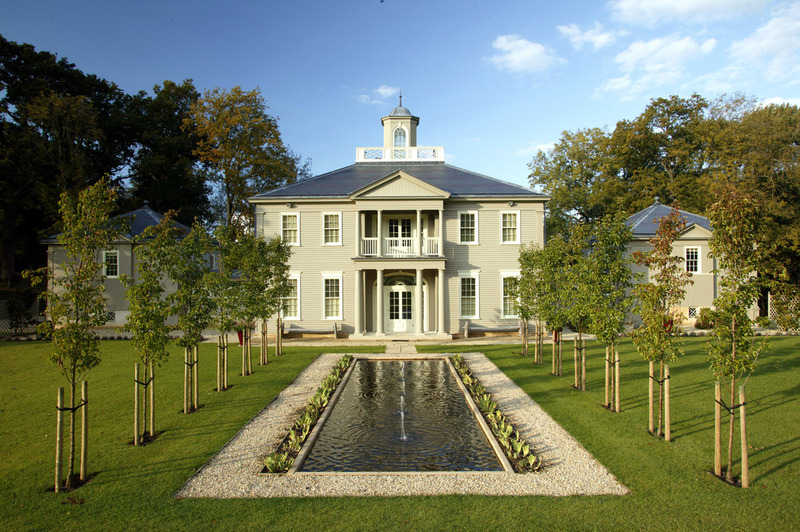 A central space rises to a cupola at the apex of the main roof, and the main staircase rises back over the main entrance door, with a half landing and Venetian window giving views back across the formal walled gardens to the stables beyond. The project was completed in 2004.